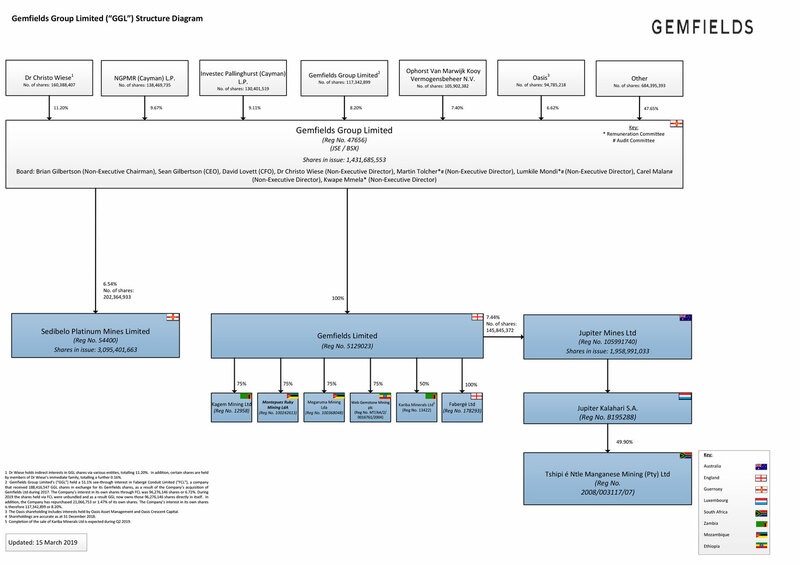 Gemfields Group Limited (formerly Pallinghurst Resources Limited) (“GGL”) is incorporated in Guernsey. GGL’s primary listing is on the Johannesburg Stock Exchange (“JSE”) and its secondary listing is on the Bermuda Stock Exchange (“BSX”). The Company’s main objective is to carry on the business of an operating mining company.